﻿ How to choose the Single-mode QSFP+ or multi-mode QSFP+ correctly? QSFP+ optical modules can provide a variety of high-density, low-power solutions for data centers, enterprise networks and network service providers. 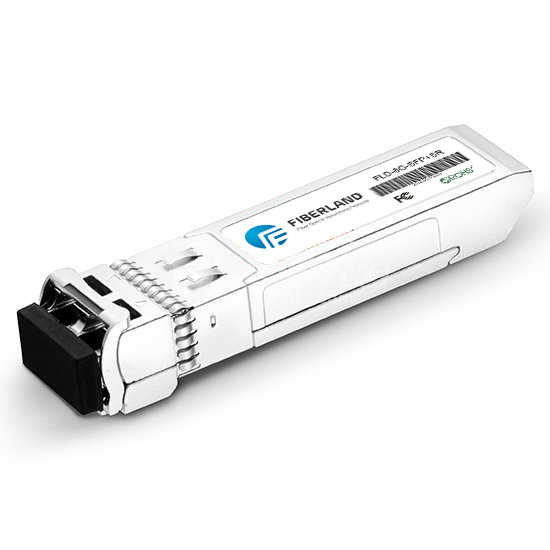 QSFP + optical modules also have single and multimode points depending on the type of fiber available. So, what’s the difference between the two? In the use of what need to pay attention to it? Faster fiber will reveal the answer for you. Single-mode QSFP + optical module usually uses LC interface, but also a small number of single-mode QSFP + optical module using MPO / MTP interface; multi-mode QSFP + optical module is usually used MPO / MTP interface. As the single-mode fiber core is smaller, the laser wavelength is narrower, with higher bandwidth, so the single-mode QSFP + optical module operating wavelength is usually 1310nm; multi-mode fiber fiber diameter larger, large dispersion, Suitable for small capacity optical fiber communication system, so multi-mode QSFP + optical module operating wavelength is usually 850nm. The single-mode QSFP + optical module has a long transmission distance, which can realize different transmission distance, such as 500m, 1km, 2km or 10km. The multi-mode QSFP + optical module is suitable for medium and short distance transmission applications with transmission distance of 100-500m. Second, choose single-mode QSFP + or multi-mode QSFP +? The following table shows some common single-mode QSFP + optical modules and multi-mode QSFP + optical module specifications, hoping to help you choose the correct QSFP + optical module. Third, what should be paid attention when using? 1、to ensure that both ends of the fiber jumper QSFP + optical module operating wavelength consistent with the color of the optical module pull ring to detect, that is, the color of the pull ring must be consistent. 2、to ensure the accuracy of the data, shortwave QSFP + optical module using multimode fiber (blue OM3 or OM4 multimode fiber jumpers), and long-wave QSFP + optical module using single-mode fiber (single-mode fiber jumpers). 3、do not use QSFP + optical module, you must use the dust plug to protect the interface. Determining the transmission distance and wavelength requirements can help us to more efficiently select the correct QSFP + optical module. In addition to this, you can also provide a variety of QSFP + optical module connection program, for you to build a cost-effective optical fiber network, you can choose a variety of QSFP + optical module, you can choose a single-mode QSFP + or multi-mode QSFP + Wiring system.